These bars do not have butterfinger candy bars in them. 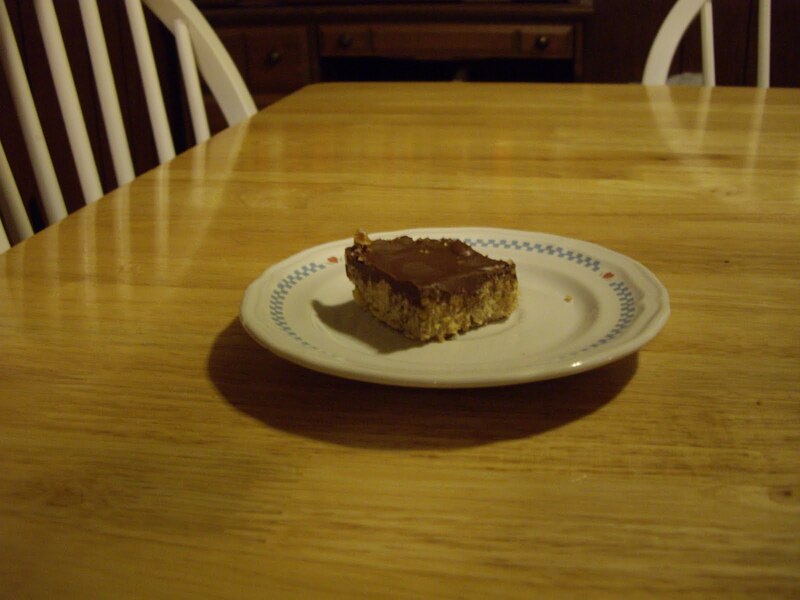 However they have a peanut butter/ chocolate topping and are crunchy so you could say they are reminiscent of them. They are pretty quick to make. Grease a 9″x13″ baking pan. Cream the butter, brown sugar, and white sugar. Mix in the oatmeal. Spread in the baking pan. Bake 20-25 minutes til set but not dark. Melt the chocolate chips and peanut butter in the microwave. Heat them for 30 seconds and stir. Heat another 30 seconds and stir until smooth. Spread over the cooled bars and refrigerate until the topping is firm. Chocolate chip cookies are always good. And these are no ordinary chocolate chip cookies. They are soft and seem to have more semi-sweet chocolate flavor than in most cookies. Grease, or line with parchment, some cookie sheets. In a large bowl, cream together the butter, sugars, corn syrup, and vinegar. Mix in the vanilla extract, salt, baking powder, and baking soda. Stir in the flour, than the chocolate chips. 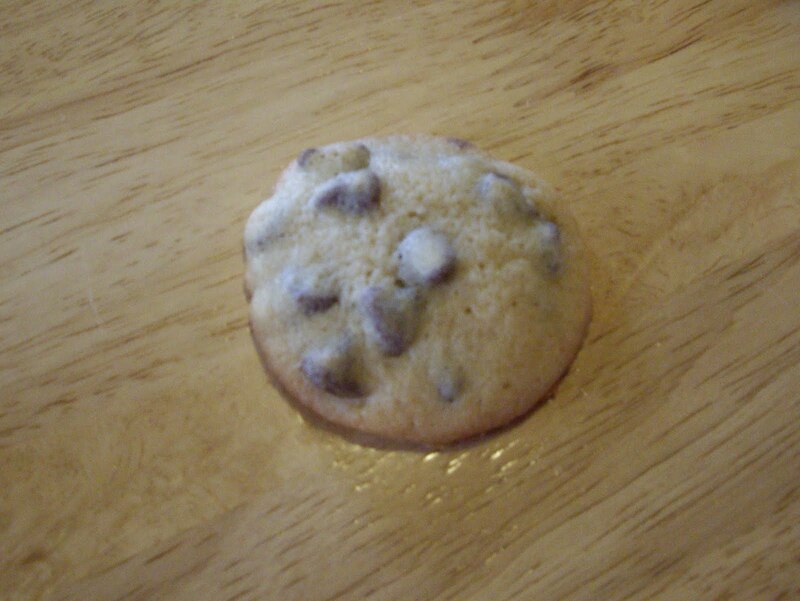 With a tablespoon or medium cookie scoop, drop cookies on the cookie sheets. Bake for 10 minutes, just til set. The centers may look soft. Take them out of the oven and remove to racks to cool. Chocolate-chocolate chip cookies are for the serious chocolate lover. 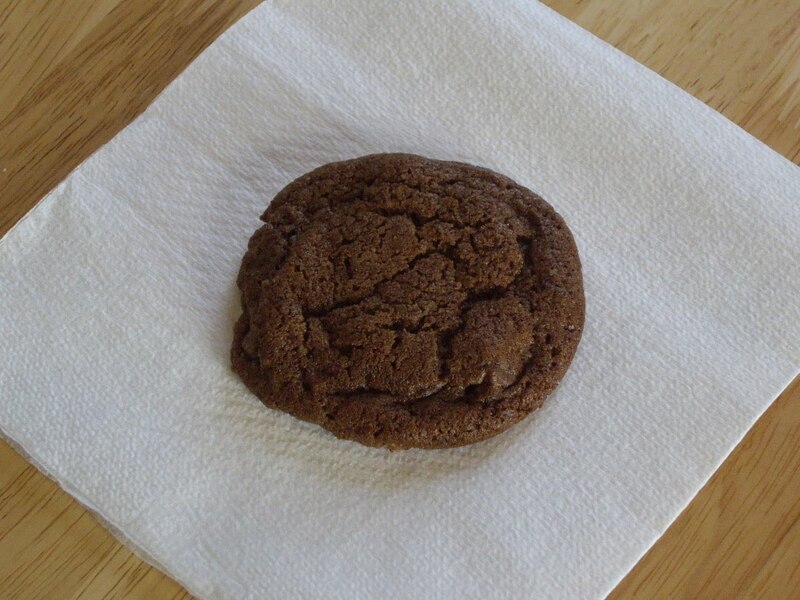 When you want some chocolate, this cookie always satisfies. You will need a couple of ungreased cookie sheets. Combine the flour, baking soda, salt, and cocoa powder in a bowl and set aside. Beat the butter, brown sugar, sugar, and vanilla extract in another bowl until the mixture is creamy. Drop by Tablespoon or medium size cookie scoop onto cookie sheets. Bake for 9-11 minutes. They may be a bit soft in the middle and that is OK. They will finish cooking after they come out of the oven. You will get 4-5 dozen cookies. 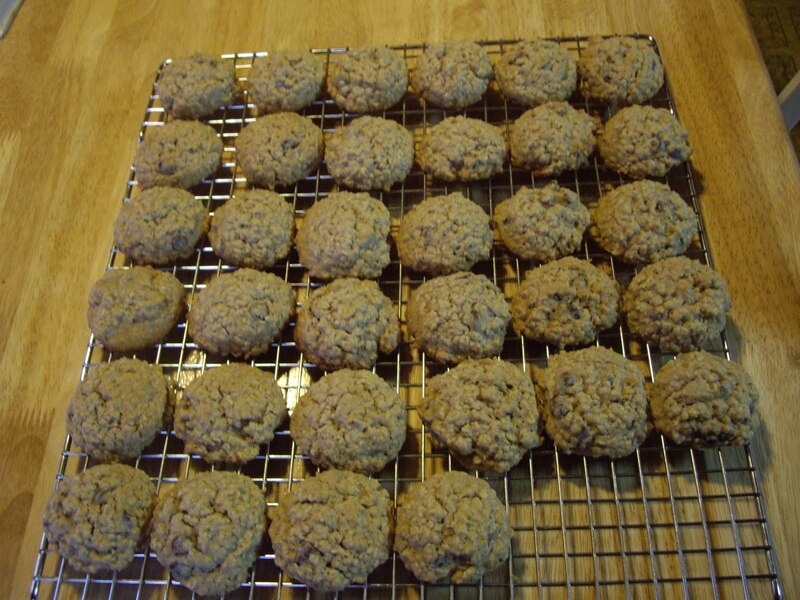 Nutty for Oats Cookies are gluten free. The only flour like ingredient is ground rolled oats. Oats do not contain gluten. At one time it was thought that they did, but they do not. However, there may be cross contamination so if you need to be gluten free, use gluten free oats. These are wonderful cookies. 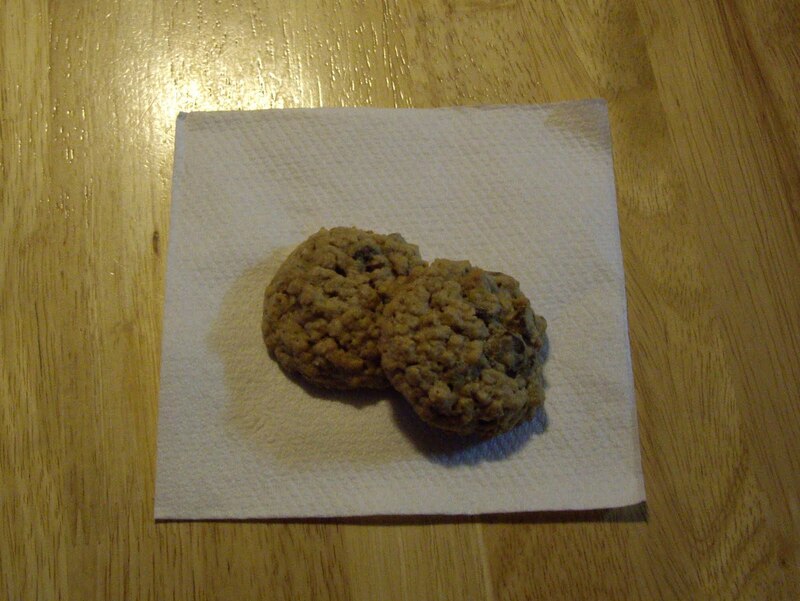 They are made with peanut butter,rolled oats, and chocolate chips. They are nice and soft too. In a bowl, cream the peanut butter, butter,vanilla extract, salt, and baking soda. Stir in the ground oats, rolled oats, and chocolate chips. Using a medium cookie scoop or a spoon drop tablespoons of dough onto cookie sheets. Bake for 11-13 minutes until they are just barely set and starting to brown around the edges. Let the cookies cool on the sheets before removing them to a rack. 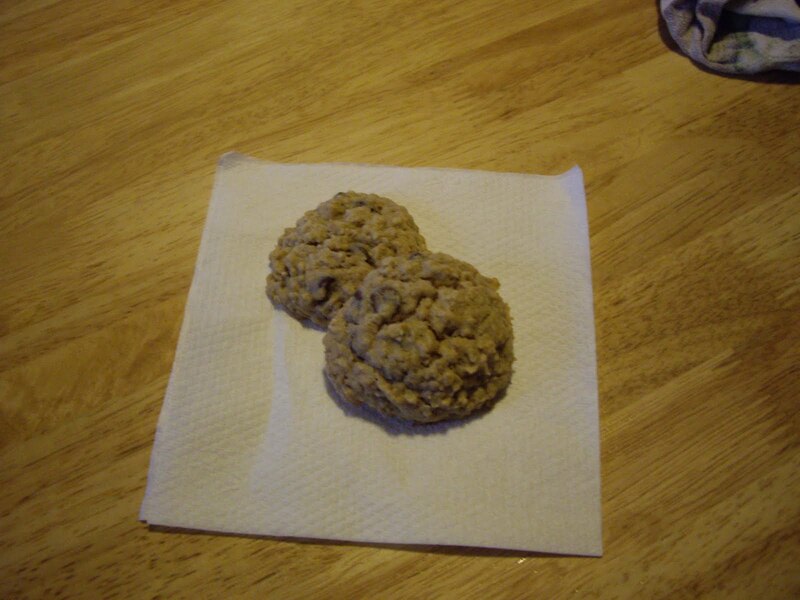 These are not the oatmeal cookies you are probably used to. They are soft and not flat. You can make these without chocolate chips, but they are a nice addition. Preheat your oven to 350 degree Fahrenheit oven. In a small bowl whisk the flour, salt, cinnamon,and baking soda. In a large bowl, cream, the sugar, butter, and oil. Add the flour mixture. Mix well. Let the dough rest for 15-30 minutes. Letting it rest is important. The oats will absorb moisture from the rest of the dough. Use a tablespoon or large cookie scoop to put cookies on the sheets. Bake the cookies for 12 minutes or until they are light brown. Remove to a cooling rack. These are bars. 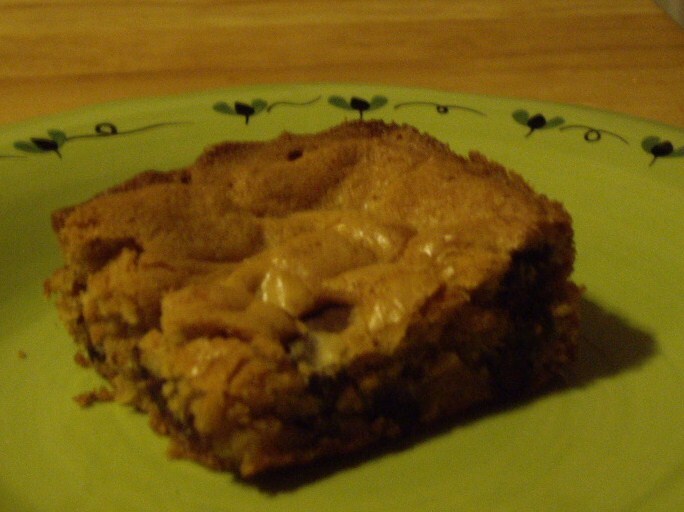 Very yummy, peanut buttery bars. They are very addictive and you can have them done in less than an hour. In a small bowl, combine the flour, salt, and baking powder. Set aside. In a medium bowl cream the butter and peanut butter until smooth. Add the sugars and beat well. Beat in the eggs one at a time, making sure the first one is well incorporated before adding the next one. Stir in the vanilla extract. Stir in the flour mixture until smooth. Add chips or peanuts. Put in the oven and bake for 30 minutes or until bars start to come away from the edges of the pan. Cool completely in the pan. Cut in the size you want.